Aleister Crowley wrote the Gnostic Mass in 1913. He described it as the central ritual, public and private, of Ordo Templi Orientis (O.T.O.). It is a mythic hymn to the wedding of scientific truth and religious aspiration; the celebrant is encouraged to leave superstition and dogma at the door and join in an ecstatic tribute to the glorious nature of reality. The Gnostic Mass offers a truly modern spirituality and it is being performed on a regular basis throughout the civilized world. The authors�both longtime O.T.O. members and consecrated bishops of the Ecclesia Gnostica Catholicae (EGC)�share between them over half a century of practicing the Mass. Their passionate devotion to the rite was rewarded in 2006 with an important, long-sought insight into the complex geometry of the ritual. In 2009, they published their research in the first edition of this book. Based on a continuing series of understandings, an even more accurate second edition was created in 2010. This third and final edition solves remaining subtleties in the choreography of the five officers and the overall conclusion of the rite. 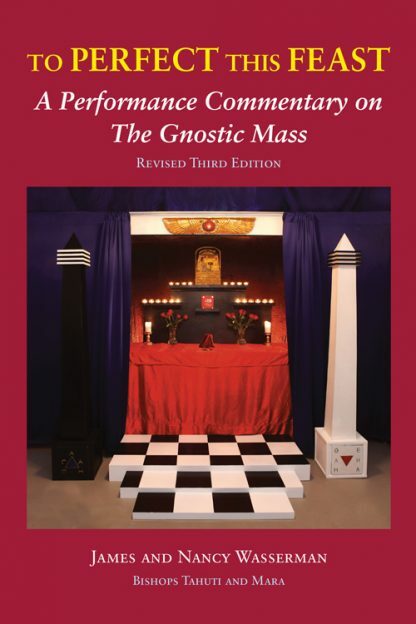 The detailed instructions presented here not only provide the missing performance keys to the geometrical puzzle of the Mass, but offer a window into the wider workings of magical ritual. Nancy Wasserman is an experienced and dedicated occultist who has been practicing the magical system of Aleister Crowley for many years. She has contributed several articles to the O.T.O. publications as well as The Pathworkings of Aleister Crowley. She lives in New York City with her husband and editor, James Wasserman.